Kingston & Co. condos is a new development on Kingston Road just east of Victoria Park. 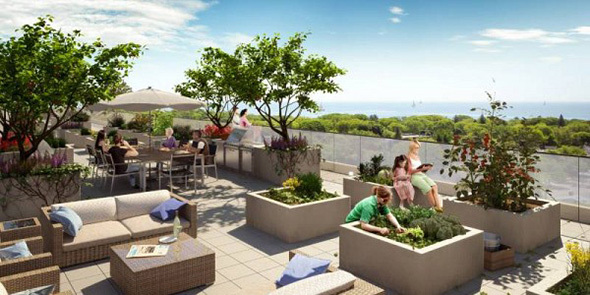 Located above the Beaches, the top floors and roof provide dramatic views of Lake Ontario and the R.C. Harris Water Filtration Plant. The area isn't exactly rich with condos right now, so the arrival of a large development is noteworthy for the degree to which it will inject energy into what is a rather tired stretch of Kingston Road. To be clear, this is actually a very promising location with its proximity to the lake and the vibrant stretch of Kingston Road to the west, and the addition of 20,000 square feet of retail space on the ground floor will likely prove a boon to the immediate area. At 10 storeys (10 on the fare west side), the Teeple-designed building scales well with the neighbourhood. It's not a small building, but it doesn't dominate the street, and there are already a few mid-rise structures in close proximity to the development. In some sense, it resembles the Code Condos on St. Clair West, another project which arrives in a predominately low rise area. The building is touted as an affordable option for first time buyers, though that might be subject to debate given a starting price of $250K for roughly 400 square feet. I like this development. It's a smart-looking building in an area that will get a significant boost from its presence. This isn't necessarily a straightforward gentrification story, however. Call it the Upper Beaches if you want, but Kingston & Co. is located in close proximity to a well established neighbourhood with plenty of retail activity just to the west. Also a plus are the community features, which include a rooftop garden (with views of the lake), a shared tool room, and a gym. 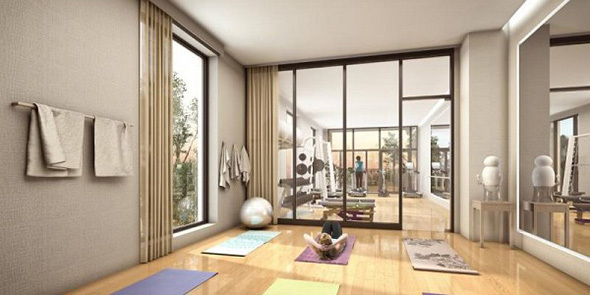 Add the fact that each unit comes equipped with outdoor space, and you have an attractive place to live. What do you think? Would you live here if you had the dough? 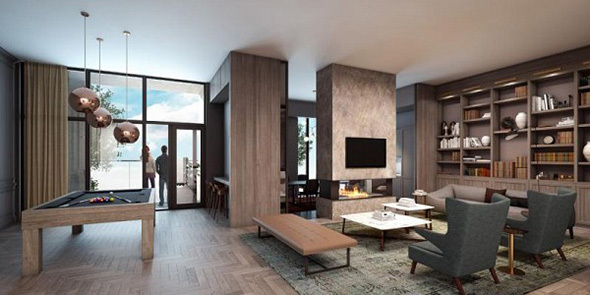 Read other posts in this series via our Toronto Condos and Lofts Pinterest board.